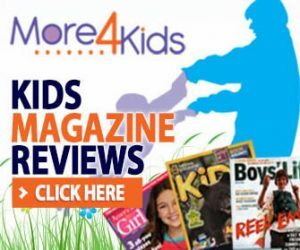 If you are seeking summer reading recommendations for kids, this article may help to assist you in discovering some great reading materials for kids. 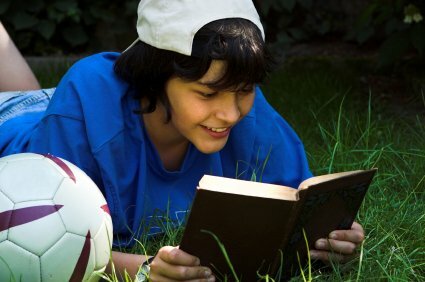 Here are some summer reading ideas for kids broken up by age group. 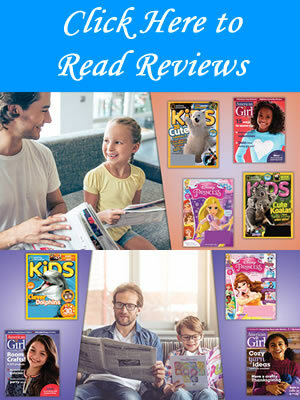 If you are seeking summer reading recommendations for kids, this article may help to assist you in discovering some great reading materials for kids. All too often this is a challenging task for parents. The good news is, it does not have to be! There are several resources both online and offline to assist you in creating a summer reading program that can be beneficial for children of all ages. To make things a little easier, we will try to highlight valuable information that your family can use to make reading the highlight of your summer! 1. You can encourage your child to read by expressing the fact that reading can introduce exciting new characters, situations, and places that they are unable to experience otherwise. 2. Inform your child that by reading, they can learn more about the places, events, and other things that they take an avid interest in. 3. If you want to encourage your child to read, allow them to go to the library or book store with you so that they may pick out their own books. 1. “The Giving Tree” – In this book, your preschooler will discover a story about a young boy who comes to discover a friendship with a beautiful tree. The tree gives everything of herself to the young boy. When the young man grows into an old man, he comes to the understanding that the tree has sacrificed quite a bit during her lifetime for him. 2. “The Very Hungry Caterpillar” – In this book, preschoolers will learn how a caterpillar transitions from its state to that of a butterfly. Skills such as counting and basic metamorphosis are taught. 3. “Goodnight Moon” – This is a story that every preschooler must read. It is a wonderful choice for a parent seeking to create a summer reading program for their child. Children are introduced to poetry as they learn about a young rabbit preparing to go to bed for the night. 1. “Where the Wild Things Are” – In this book, your child will encounter a wild rumpus that enjoys his share of mischief. He gets caught and he is then sent to bed without being able to eat his dinner. All of a sudden, a massive forest quickly grows in his room so that he may continue to play! 2. “The Book of Virtues for Young People” – This book offers a large collection of stories that educate children on the concept of various virtues such as patience, responsibility, and even self-discipline. 3. “The Children’s Book of Heroes” – The stories contained within this very popular book outline factual and fictional individuals who are considered to be heroes among the world. Your child will learn about David and Goliath, Mother Theresa, Jackie Robinson, and several other stories that indicate strong, victorious individuals. 1. “The Harry Potter Collection” – Many middle school students will thoroughly enjoy Harry Potter and all of the adventures that he experiences in the popular set written by J.K Rowling. These stories are considered to be fantasy and magical all in one! Giving the gift of the collection can allow your child plenty of exciting reading adventures for the summer! 2. “The Chronicles of Narnia Box Set” – If you enjoyed The Chronicles of Narnia as a child, your child is sure to enjoy it as well! This is a popular choice among educators, students, and parents alike! 3. “Battlefield of the Mind for Kids” – This book presented by Joyce Meyer is a popular one among children in middle school. It addresses the emotions that are common to this age period such as confusion, fear, and even anger – among others. The preteen is sure to benefit from this particular book being included in their summer reading program! 1. “The Twilight Series” – The Twilight Series by Stephenie Meyer is considered to be one of the hottest books on the shelves today for teenagers. It is a vampire story, yet is appropriate for individuals in their teenage years. Since the release of the Twilight movie, this has gained a HUGE teen following! 2. “The Left Behind Series” – The Left Behind Series is another collection of books that are starting to become popular among teenagers. These books cover the story of the Bible regarding the Rapture and all of the eschatological events that are contained therein. However, it uses fictional characters in order to convey what could occur during this time period. 3. “The Books of History Chronicles” – Ted Dekker is becoming immensely popular among high school students – especially Christian readers. His books such as “Chosen”, “Renegade” and “Sinner” are wonderful choices for summer reading programs. In conclusion, it is important that every child have a summer reading program in order to introduce them to new characters, situations, places, and the English language. The ideas contained here are those that many parents have experienced success with – you will too! Creating a Positive Reading Environment at Home!